Beaches Turks & Caicos features a large water park and events with Sesame Street® characters. When it comes to pleasing the entire family, look no further than the Caribbean! From all-inclusive resorts with comprehensive kids’ programs, to swimming with turtles in the warm sea, kids of all ages will love the Caribbean islands. While there are many family-friendly resorts in the Caribbean, these resorts go above and beyond by offering top-notch activities and amenities for children. Grand Memories Splash caters to families, with a water park, outdoor pools, a playground, an ice cream parlor, and clubs for kids and teens. 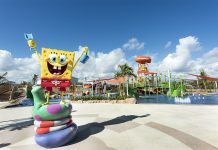 This new, family-friendly resort features a Pineapple Villa inspired by SpongeBob SquarePants and stylish swim-out suites. Kids will love surprise slimings and visits from their favorite Nickelodeon characters. Beaches Turks & Caicos Resort is a sprawling, all-inclusive resort on Grace Bay in the Turks & Caicos islands. The resort is geared towards families, with a huge water park, events featuring Sesame Street® characters, an Xbox Lounge, and a teen disco. This new luxury Punta Cana resort appeals to families with features like a water park, large suites and the Bahia Scouts children's club - an entire area designed just for kids. Highlights for families include spacious connecting rooms, kid-friendly menus, a children’s pool and an expansive pirate-themed water park with water slides and a lazy river. 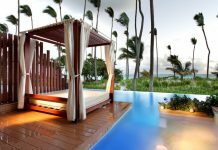 All-inclusive Club Med Punta Cana appeals to both families and couples, with circus lessons, water sports, a kids' club and pool, and the new adults-only Zen Oasis rooms and pool. This beachfront resort in St. Croix features two pools, a spa and an 18-hole golf course. Guests enjoy complimentary breakfast daily, and there's a camp for kids with age-appropriate, supervised activities. This all-inclusive resort on St. Lucia's south coast features an adult section (Harmony) on one side and a water park and playground (Splash) for all ages on the other side. This resort on St. Lucia's northwest coast has six pools, a variety of dining options, and activities for kids and teens. The resort offers an all-inclusive option. This resort is perfect for families who want to experience one of the Caribbean’s top diving destinations while also enjoying the benefits of an all-inclusive resort. Kids get the royal treatment here, with a special check-in, kid-friendly menus and daily activities. The lazy river is the main draw here, but families will also enjoy spacious rooms with full kitchens, a waterslide for kids, and lots of activities ranging from tennis to snorkeling. This family-friendly resort is located in two-story bungalows, between Bavaro Beach and lush gardens. Highlights of the resort include spacious suites ideal for families, a water park for kids, and a large lagoon pool overlooking the beach. 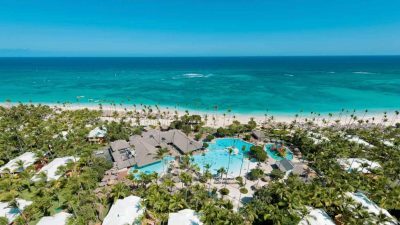 Luxury amenities typically only found at adults-only resorts are available for the whole family at The Reserve, a boutique resort located on Bavaro Beach. This includes a family butler, personalized minibar with non-alcoholic drinks for the kids, and swim-out suites. 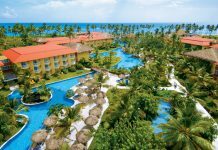 Hard Rock Punta Cana caters to families, with two-bedroom suites, a rock-climbing wall, lazy river, arcade, and kids’ program with music-themed activities. This family-friendly resort offers plenty of activities for kids, including movies on the beach, arts and crafts, an ocean trampoline, and a pirate ship waterslide. Teens will enjoy the teen disco, climbing wall, mechanical bull, and a game center. This all-inclusive resort situated near hiking trails and a national park offers plenty of nature-inspired activities for the entire family. Kids can swim and snorkel in reef-sheltered waters, and there’s a kids’ club complete with a pirate ship jungle gym and splash pool. This family-friendly resort on Aruba's popular Palm Beach offers all-inclusive packages for families, spacious rooms, and a kids’ club featuring crafts, video games, outdoor activities, and more. Atlantis Resort on Paradise Island is a destination in itself, with a seemingly endless water park, marine exhibits and 11 pools . Families will love the supervised camps, underwater video arcade and kids-only nightclub. Divi Aruba offers families a great all-inclusive value in Aruba. Kids under age 12 stay and eat for free, while reduced rates from $75 per night are available for ages 13 through 17. Guests can also use facilities at the neighboring Tamarijn Aruba for a total of nine dining options. 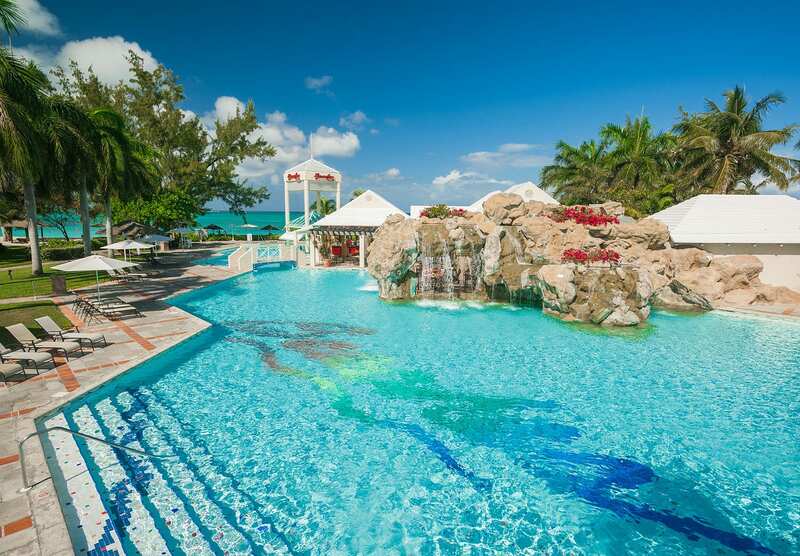 Wyndham Reef Resort offers the only all-inclusive option on Grand Cayman. The resort offers plenty of family-friendly activities, including snorkeling, diving and stand-up paddle at the onsite water sport center. Franklyn D. Resort & Spa is an all-inclusive resort in Runaway Bay, Jamaica. The resort is great for families, with perks like a personal vacation nanny, a huge water slide, and suites with multiple bedrooms. Jewel Runaway Bay is an all-inclusive resort located on the northern coast of Jamaica. There's a water park at the resort, and some rooms feature butlers and private pools. There is also a Jewel Runaway Bay Kids' Club with special activities and excursions. All-inclusive Beaches Negril is located on Seven Mile Beach and caters to families with a sprawling water park, supervised kids camp, and meet and greets with Sesame Street characters. Families staying at the all-inclusive Beaches Ocho Rios will love the private stretch of beach, dedicated Scuba pool, water park and Sesame Street parades. This all-inclusive resort in Montego Bay features a water park with lazy river, kids’ club, and large, family-friendly suites.